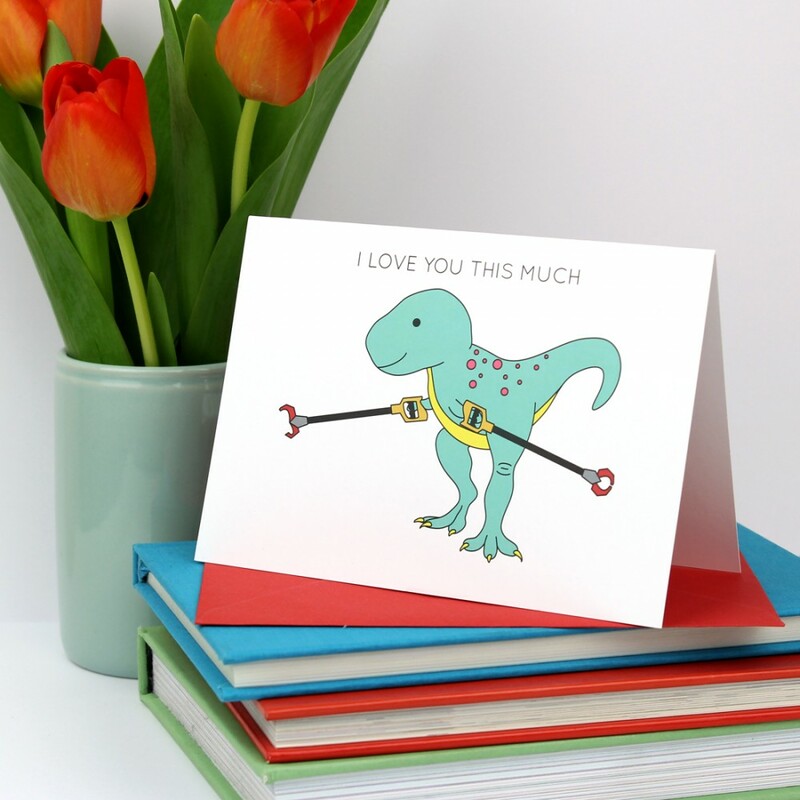 Show your loved one just how much you love them. 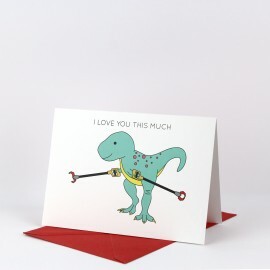 This card is perfect for Valentine's day or for an anniversary. 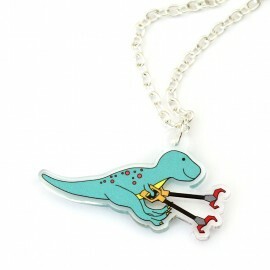 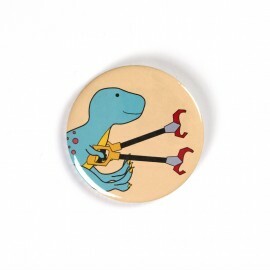 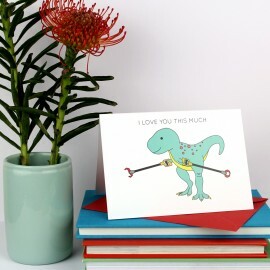 It features T-Rex with grabby arms spread apart as wide as he can! 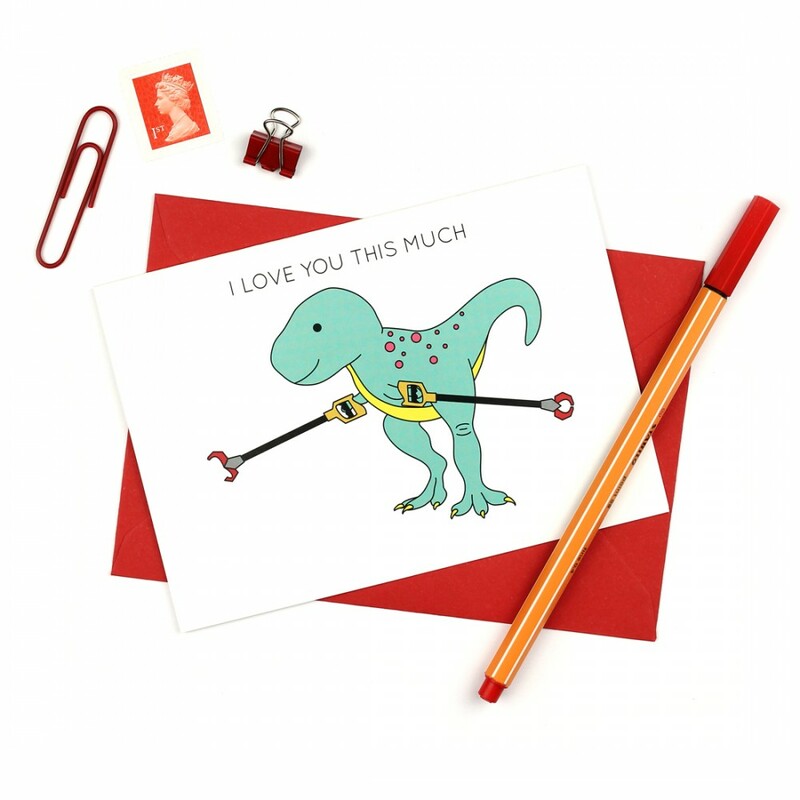 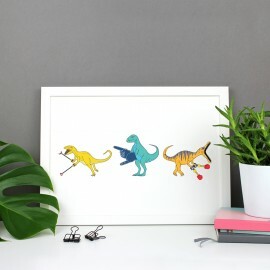 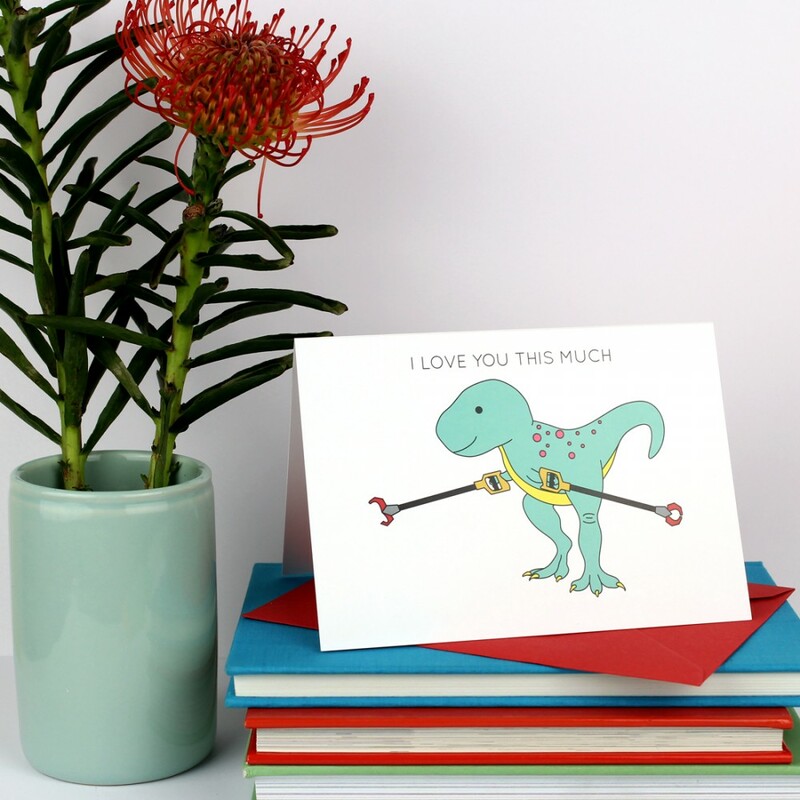 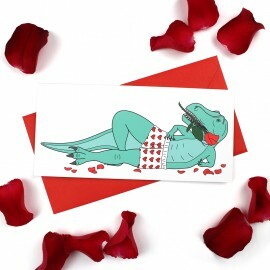 The card also features the text I LOVE YOU THIS MUCH above the Dinosaur.